Some might say. . .
. . . that Rod Cameron was Hollywood’s most underrated actor. But I’m not one of them. 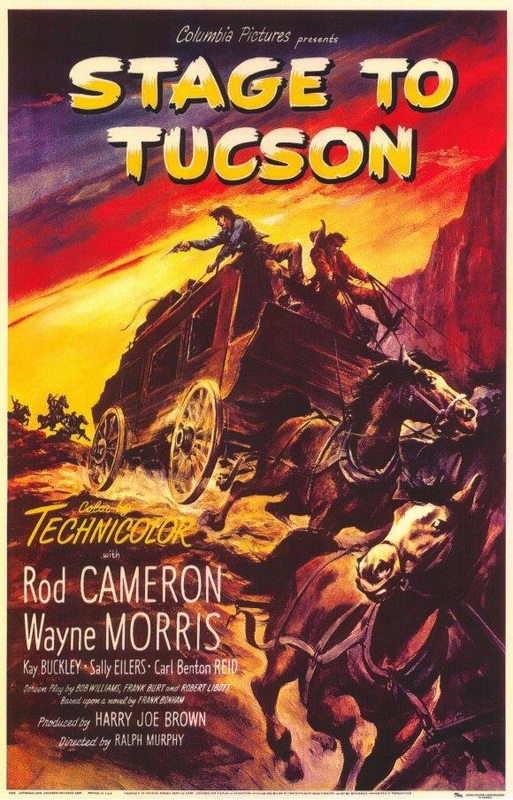 See Rod along with Wayne Morris as they ride “The Stage To Tucson” (Columbia, 1951). Also starring Kay Buckley, Sally Eilers, Carl Benton Reid and Roy Roberts. Directed by Ralph Murphy. Our second feature is “Stone of Silver Creek” (Universal, 1935) Starring the inimitable Buck Jones along with Noel Francis, Niles Welch and Murdock McQuarrie. Directed by Nick Grinde. And last, but not least, we’ll view Chapter 3 of our serial “Batman” (Columbia, 1943) Starring Lewis Wilson, Douglas Croft, J. Carrol Naish and Shirley Patterson. Directed by Lambert Hillyer. And don’t forget the Milo Holt Film Festival in Siler City Saturday May 19, 2018. You can see the details here.